You have a lot of requirements, from landscape to family, children's sport to travel, and IMO, as a very happy E-M5 owner who have switched from a DSLR, the D5200 is clearly what you should choose. For family shots, your main needs, a flash is very important, parties, school activities and birthdays, and here is where Nikon is better than any other when you need an external flash. A built-in flash is also convenient. For children playing and sports, continuous AF is very important, and any DSLR is better than the E-M5. High ISO performance is also important, and although the E-M5 is good, the D5200 is better. 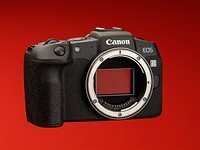 For landscape, you want good DR performance and again, the D5200 is better. M43 has a good range of lenses, but Nikon has even better overall. For portraits, the D5200 is better, as it has a better sensor, 24.2 colour depth in DXO scores. What the E-M5 is good at, apart from the size and weight, is its EVF, big, full of shooting data, its IBIS, which is very effective and I think better, and its weatherproofing, which is however not so essential. If these do not bother you, and they should not, then get the D5200. Have fun with it. M43 has a good range of lenses, but Nikon has even better. You sound like you are young and should not be bothered so much by weight or by a viewfinder that is not as bright or big. I think the D5200 is great for you. So, have fun with your D5200.